Things have been disastrous in Sonoma County and our neighboring counties. Wildfires have consumed more than 7,200 homes and businesses in the four-county spread. More than 6,800 in Sonoma County alone, with the majority right here in Santa Rosa. Our hearts go out to our neighbors that have lost so much. Many firsthand stories were shared when we spent time at the Santa Rosa Fire Resource Center. After manning a table for a couple of days you start to realize how fortunate you are if you escaped the destruction. So many are hurting and looking for answers about starting over, including replacing documents, temporary housing, and rebuilding. The concerns we heard in Santa Rosa were an echo of the concerns our neighbors in Lake County had just a few years ago, which is why when the first flames were crawling over the hills above Santa Rosa and down into the flat of the Coffey Park neighborhood, we took our first action to purchase several domain names that would allow for us to promote consumer safety when it comes to hiring contractors. Our client is North Coast Builders Exchange (NCBE), a construction association serving Sonoma, Napa, Lake and Mendocino Counties. Two years ago when the Lake County fires hit we launched Rebuilding Lake County .com which provided homeowners with a complete list of contractor members in NCBE and links and resources to help them rebuild their homes and businesses. It turned out to be a great resource. 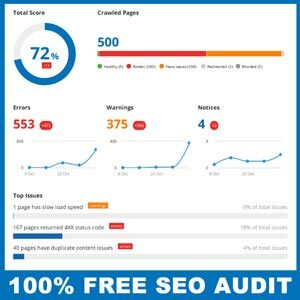 Get a 100% free SEO audit for your local business website and have it emailed to you in seconds. It only takes 1 click.